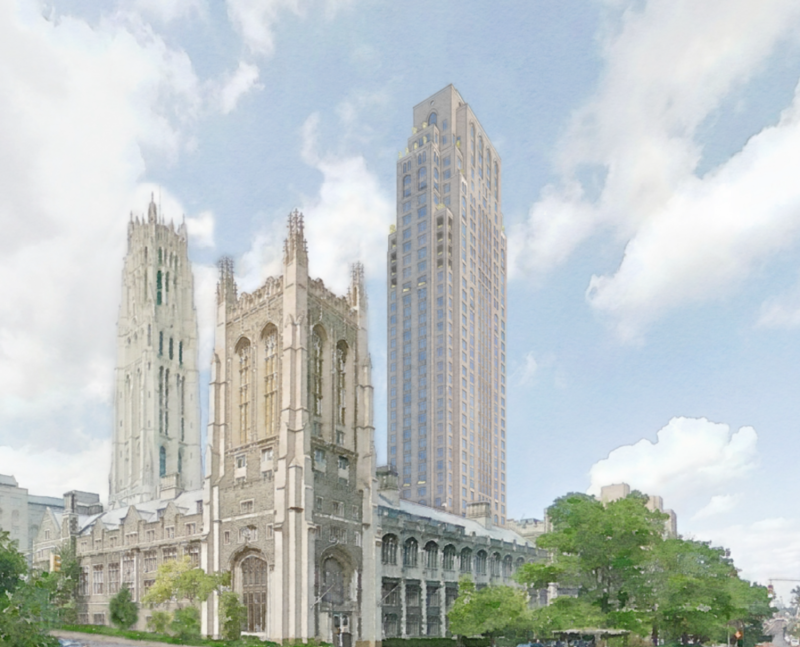 Lendlease has filed plans for a 42-story mixed-use building within Union Theological Seminary’s campus at 100 Claremont Avenue. The plans, filed on December 28, call for a 466 ft. tall structure that provides 175 residential units. The building, being developed by Lendlease and its partner L+M Development Partners, will provide more than 250,000 s/f of residential space and 24,000 s/f for a community facility. Robert A.M. Stern Architects will be designing the structure. The residential project will be built within the campus of Union Theological Seminary that occupieds and area from West 120th to 122nd Streets and between Broadway and Claremont Avenue. The seminary sold its air rights to the real estate partnership in order to get funding for major renovation efforts of its campus buildings. When completed, the seminary will occupy the lower floors of the new building for classrooms and offices. The religious organization will also set aside $5 million as part of its revitalization project to be invested in nearby community programs.